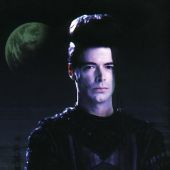 Music Sheets - Poetman's Prose - Main Lexx Discussion - You have arrived in the LEXXVERSE where the spirit of Lexx lives on. Hey there! I am up to finish my music sheet for the "Two hearts" song of Brigadoom. I've got the first parts ready as PDF - the last part gives me a headache for they did transpose everything and I haven't found out all of it yet. The lyrics are in it as well. and Ill make a page of it. Hm, I think I will send teh unfinished version for a first look over it. The lyrics would be nice to have handy! Yup, they lyrics are included to the Music Sheet (as far as I have it ready). I sent it to Maya yesterday for she can take a first look at it and listen to the midi-File if it is good enough so far. I have done it -- it's on its way to Maya- Sheet and midi-file completed. A hard piece of work put I like it, though a midi file is not comparable to when a "real" piano-player pays it ... hope you like it and that it is good enough to go onto the MM site. I'm off work Monday, will work on the page and upload it. Ok, I updated the Music page in the Audio section (the part that has the lyrics to the other Brigadoom songs) and included the PDF file. Unfortunately I didn't get the completed Midi file, but uploaded the partial file that Warpax sent me. When I get the finished Midi file, I'll add it to the page. Scroll down to where the Brigadoom lyrics start and the link will show for the PDF file to view or download and to listen to the midi file. I also included a link on the News page.